Buying gifts for babies and toddlers is so much fun! Their wide eyed wonder is infectious …. they get so excited about gifts, it’s hard not to get caught up in their delight! I’m sharing some of my very favorite gift ideas for babies and toddlers. These are great for birthdays, Christmas, Hanukkah and baby shower presents, too. In the boy’s room, we have a print from a local artist that we bought when Rachel was small. We’ve always hung it near the changing table, and all of my little ones are mesmerized by it. Before babies can walk, they are carried. Save the back of a momma that you love and get her a good carrier. My friends swear by their Ergo. 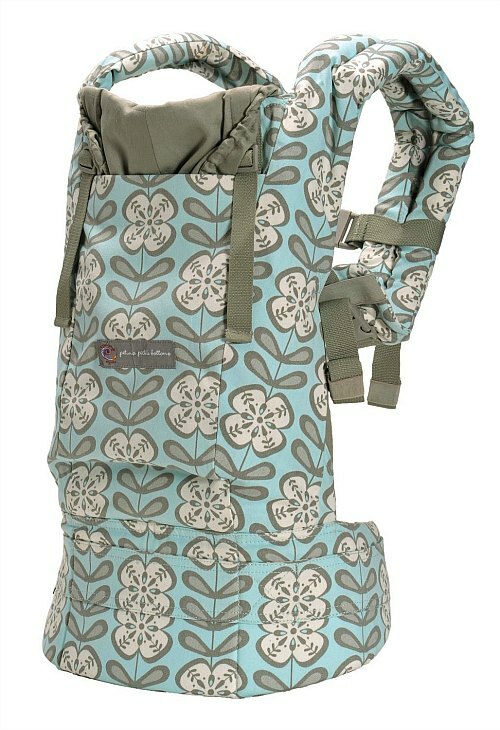 I love my lillebaby carrier for Daniel, and I also have a Tula toddler carrier for Maeve. 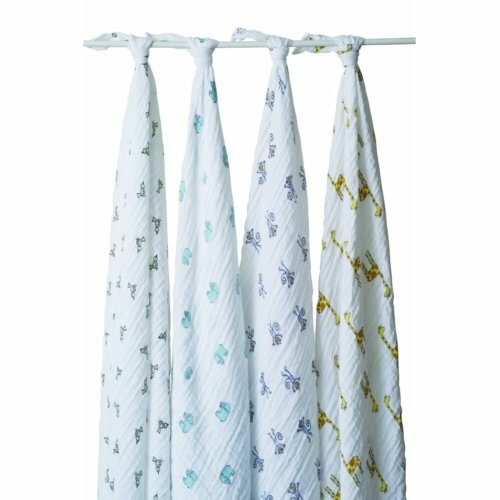 Indulge yourself and your baby with Aden + Anais blankets. I followed the advice of my friend Lisa and took the plunge with these swaddling blankets. 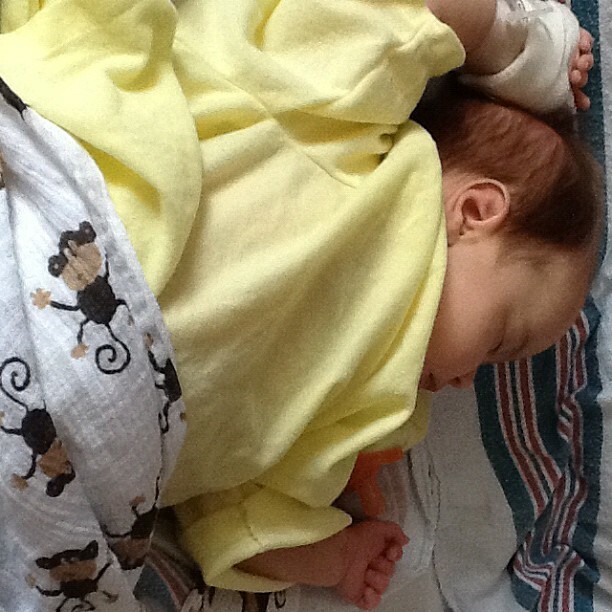 First off, they’re HUGE — better for swaddling than the hospital blankets. Made of muslin, they are light enough to use even in the hot summer. Now that Maeve’s bigger, she uses the blankets for a lovey. Everybody loves the smell of a delicious little baby — in my house, the babies smell like oranges thanks to Earth Momma Angel Baby body wash and lotion. 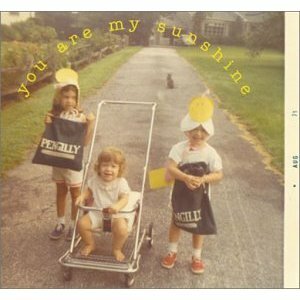 I put this on my registry, and I recommend it to every one I know. If you’re not into online shopping, it may be available locally. Bonus? They have some amazing pregnancy and postpartum products that I love. For me, one of the best part about being the mother of an infant is bath time. You get to hang out with your baby, they’re happy in the tub, and they smell delicious. 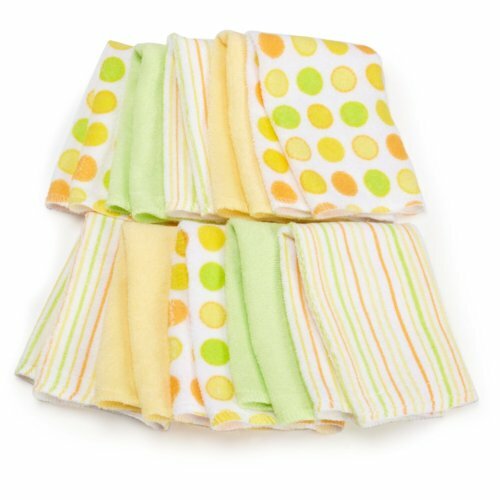 These make a fun gift — soft infant washcloths and fun hooded towels. A robe isn’t completely necessary, but scores MAJOR cute points. Since you’ve got the great smelling body wash and soft towels covered, how about some fun while baby is still in the tub? I like these Sassy bath pals. Don’t forget something to keep the toys organized. I love these for when babies are small — so much easier than wrestling a baby into a sleeper with snaps. Add some socks and you’re ready for bed. Once babies are mobile, these aren’t as great. Imagine a baby trying to crawl. Not happening in these. Unless it’s really cold, the Robeez are enough for us. 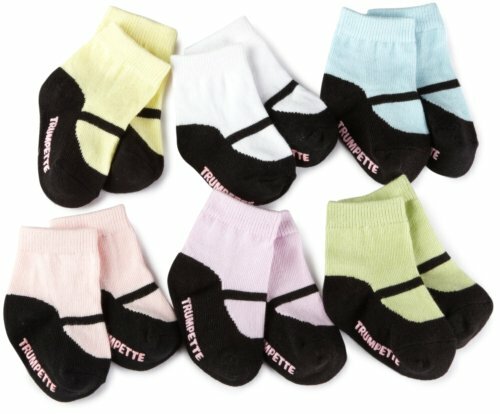 We keep our house pretty chilly, and if the baby’s toes are cold, we put on Trumpette socks. I know they make those adorable infant Mary Janes, but I think you’re wasting your time. 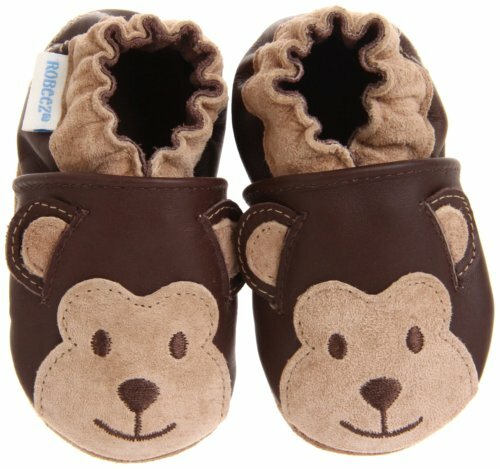 They never stay on, and with a wobbly baby learning to walk, barefoot or a soft sole is best. Our favorite? Robeez. They’re available for girls and boys, in loads of hard to resist styles. Once my little ones are walking well, we move up to leather shoes with flexible soles, like See Kai Run or Livie and Luca. Part of the fun of having a girl baby are the clothes and accessories. 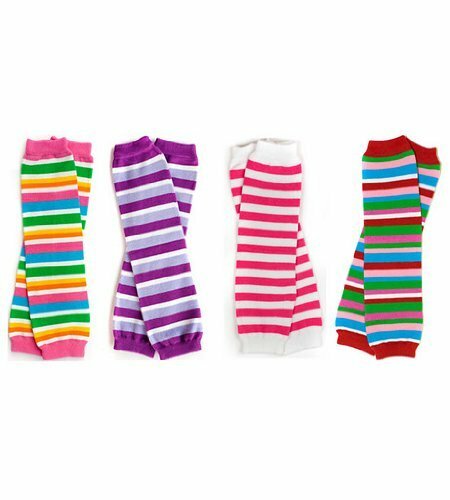 How about some cute headbands or funky tights? These are great stocking stuffers! Sign up for Bluum.com today and receive a monthly shipment of the best-reviewed mom & baby care products. Decide between a surprise box or choose your own products each month on bluum.com. Tracking your child’s progress in the bluum app is fun and helps get the most relevant products. Clothes make a great gift for little ones, but make sure you check with Mom before you shop. You’ll need to know sizes and what the babies and toddlers need. I love Gymboree, but I always check out the deals on Totsy and Zulily every day, too. 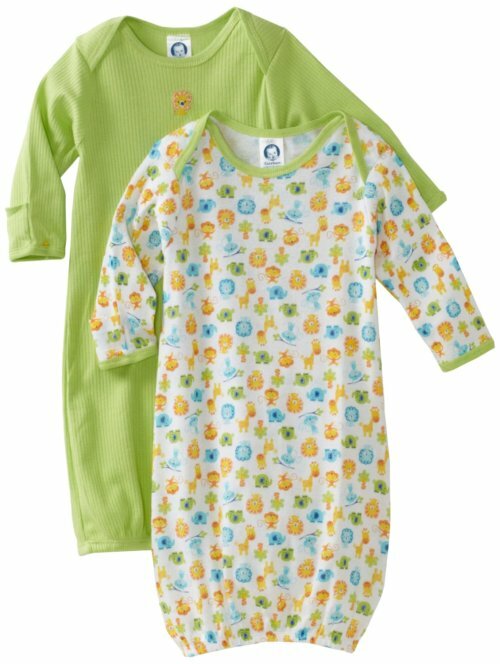 They have smocked outfits that I love, as well as adorable swimsuits, raincoats, toys and more. Are you looking for a gift for a Catholic baby? 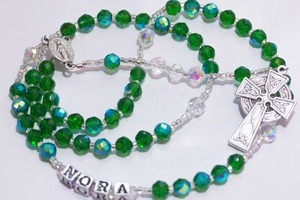 Every Catholic mother would appreciate a rosary for her sweet little one. 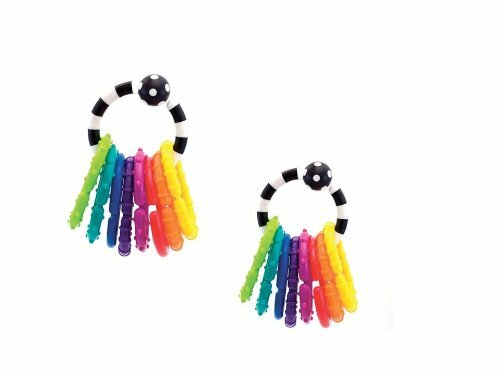 I love these Lego Rosaries, as well as the beauties from Trendy Traditions. 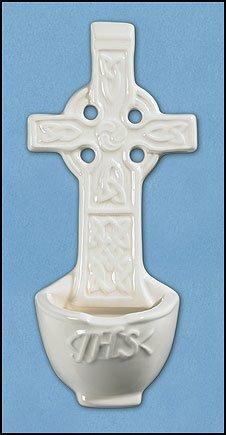 Along with a rosary, a holy water font would be a welcome gift in a Catholic home. Since I married into an Irish family, I’m particularly fond of this one. Don’t forget a Bible for baby. 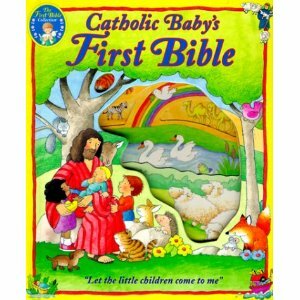 I love this Catholic Baby’s First Bible, with a handle for baby to carry! While I was looking at this, I also noticed board books for Mass. These would be perfect for us to take to church. It’s cold here in Kentucky now, so it’s time for us to bring out one of my favorites. 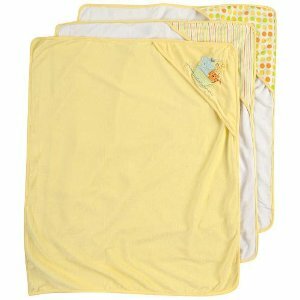 Keep baby warm without any bulk! 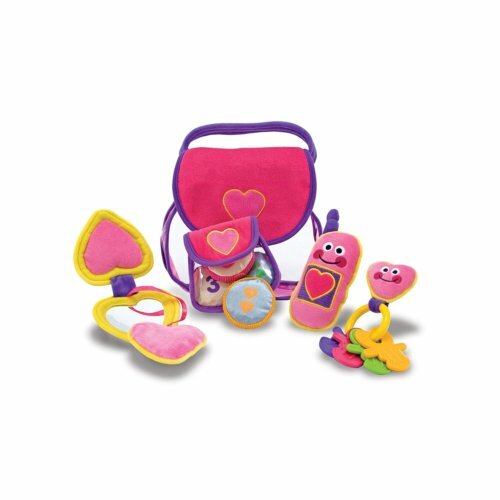 The Bundle Me has been a lifesaver for us – I used them for the boys, then bought Maeve a sweet pink one. 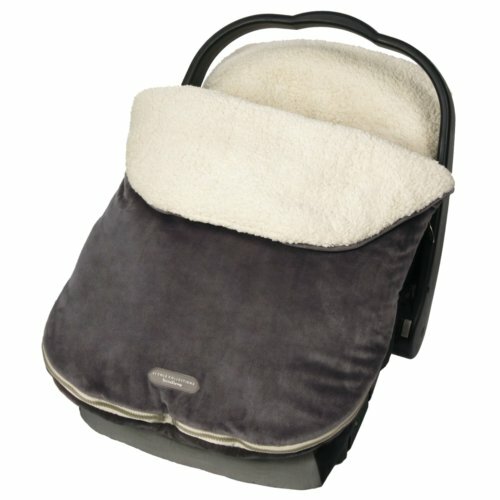 The snuggly fleece cover stays in the carseat, eliminating the need for big coats or snowsuits. They also have versions for strollers and convertible car seats. Need to keep the baby happy in the car? Do you get tired of singing? When your voice wears out, or your brain can’t think of anything fresh, try some new children’s music on for size. Some of my favorites? Elizabeth Mitchell and Lisa Loeb. What about TOYS? Since Maeve and Daniel have older brothers and sisters, they get a lot of hand-me downs. I’ll share what we’ve played with in the past and what we have on our wish list. 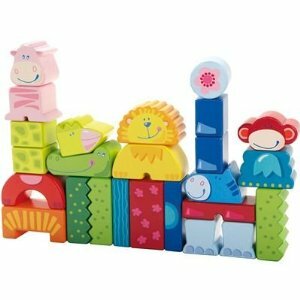 Haba is known for their quality children’s products, and these Zoo blocks are adorable. These would be perfect for Maeve and Daniel. These can keep baby occupied while you get dinner on the table, or finish up homeschool lessons. We have had a fishbowl in the past, but Maeve’s favorite is this sweet girly purse. Is your baby sitting up with support? If so, you might be ready for one of these. Maeve and Daniel really enjoyed working on their core strength. They’re able to stand and watch us, or sit down and play. Ours is completely and totally girly, but there are versions that are more neutral. Got a little one who needs to expend some energy? My little ones have loved this. Bonus? It doesn’t take up a lot of floor space. We also have this floor jumper if she gets bored! This natural rubber teether is all the rage. Maeve and Daniel have loved it, too. 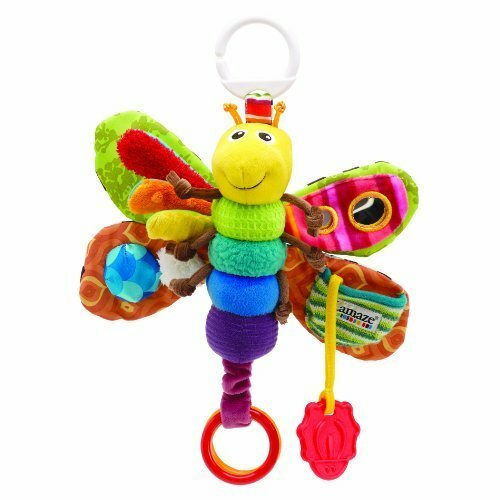 These are great by themselves for baby, or to connect toys to high chairs, strollers or activity gyms. My big kids use them now to make leashes for stuffed animals. 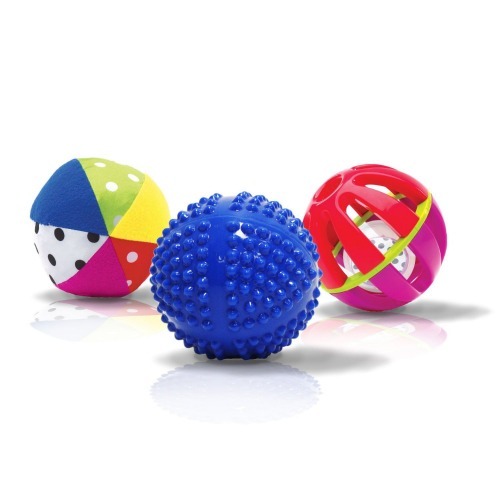 Balls can encourage babies to crawl, or help reinforce fine motor skills. I like these for the different textures and the hidden bell. We LOVE books in our house, even for little babies. These sweet personalized books from Frecklebox caught my eye. 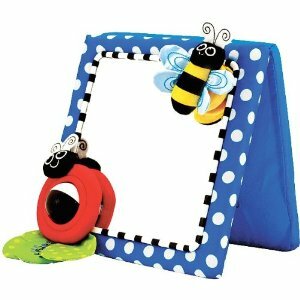 They would make a wonderful keepsake gift for babies and toddlers. Don’t miss our favorite board books for babies, along with handy tips for reading to babies and toddlers. 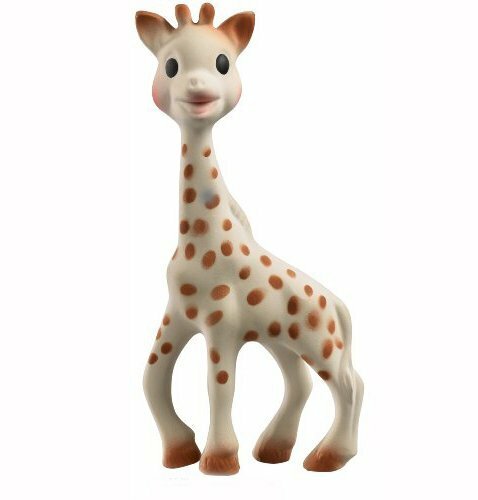 We’ve had a variety of toys from Lamaze, but one that has stood the test of time is ‘Molly Dolly’. Abigail picked this doll out for Rachel when I was still pregnant. I was thrilled to find her in the basement to pass on to Maeve. 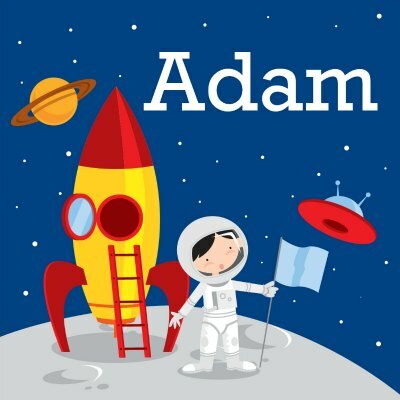 There’s a huge variety of Play and Grow Toys – even an alien! For the under 12 months set, a safe place to stretch out and play is important. 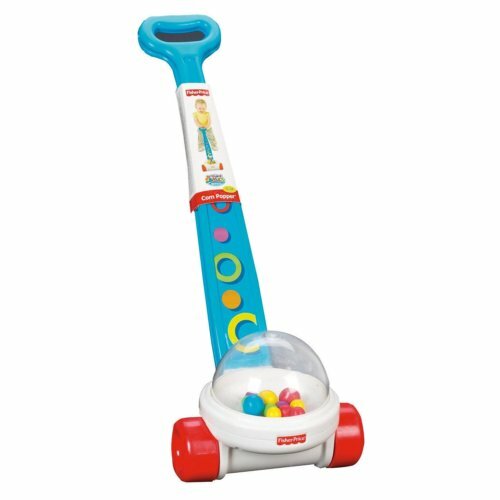 We’ve always loved these activity gyms – we’ve had ones from Baby Einstein and Fisher Price in the past, but my favorite is this version from Tiny Love. 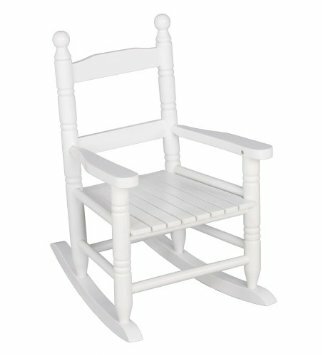 Once your baby is able to sit alone, it’s time to put the baby swing away. 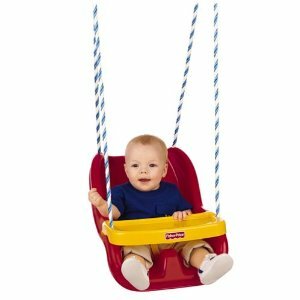 You could add this infant swing to your swingset instead! I’ve had two or three of these pianos in my house, in various colors! All of my children have loved banging on them when they were little — Rachel and the boys still use theirs from time to time. 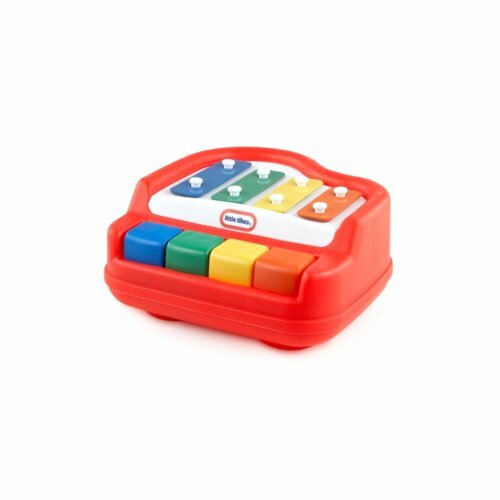 We review colors, count, and make music with these versatile toys! 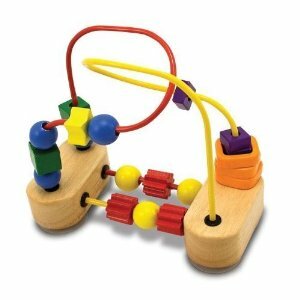 Bead tables are amazing – you’ll usually see big ones at the pediatrician’s office. 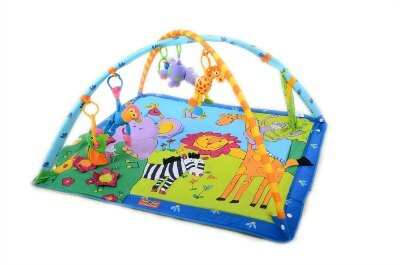 Start your little one off on the right foot with this scaled down version perfect for babies and toddlers. 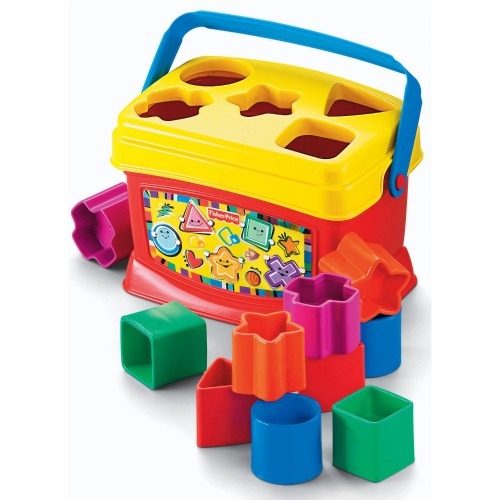 Shape sorters are great for learning shapes, colors, counting and practicing reasoning and fine motor skills. I need to dig through the basement and find ours so that Daniel and Maeve can play. Show your baby how these pieces fit, and before long, she’ll be working this puzzle on her own. 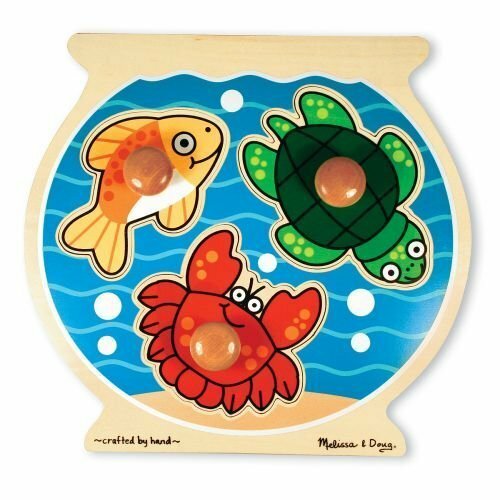 I love these Melissa and Doug puzzles with the big knobs for babies to grasp. 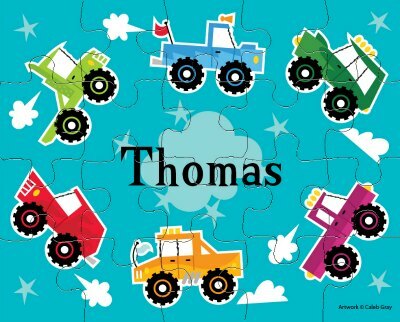 For my older children, I’m planning on these personalized puzzles. I love classic toys, even ones that make as much noise as this one! Babies and toddlers learn cause and effect, watching and hearing the balls ‘pop’. 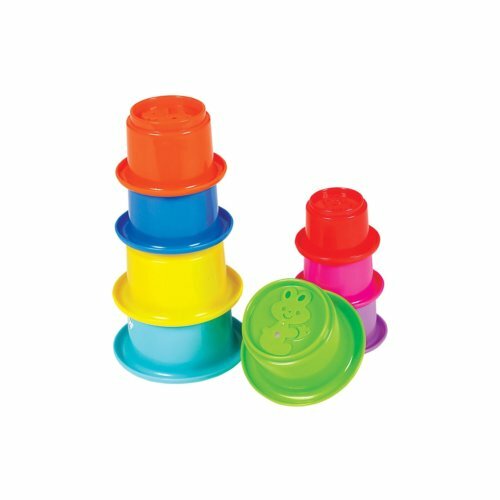 As soon as your baby is able to sit alone, nesting cups are a great toy. We use these for learning colors, pouring water in the bathtub and more. 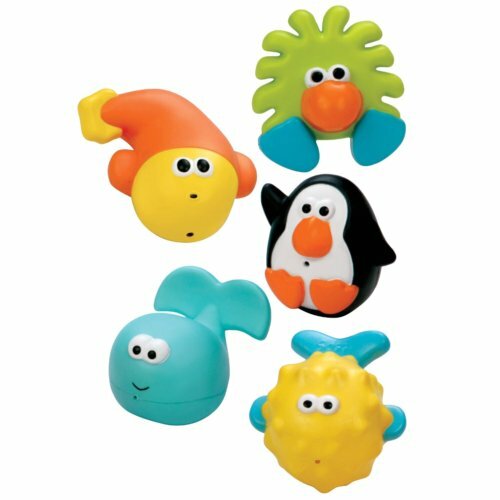 This set is so fun — it even has raised animals (in different sizes from a mouse to a whale) that you can use for stamping playdough! I’ve had kids who were climbers and instead of fighting it, I like to offer a safe alternative. 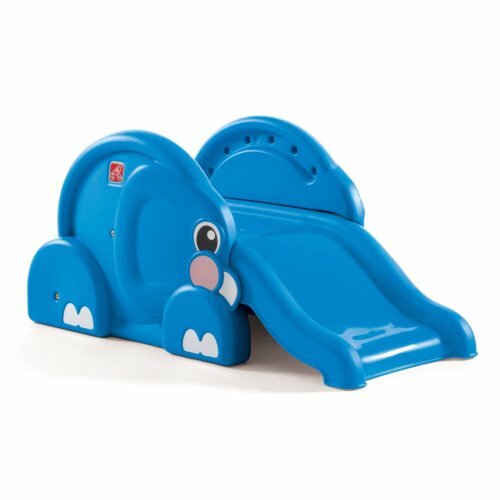 In our house, we love these scaled down slides for babies and toddlers. 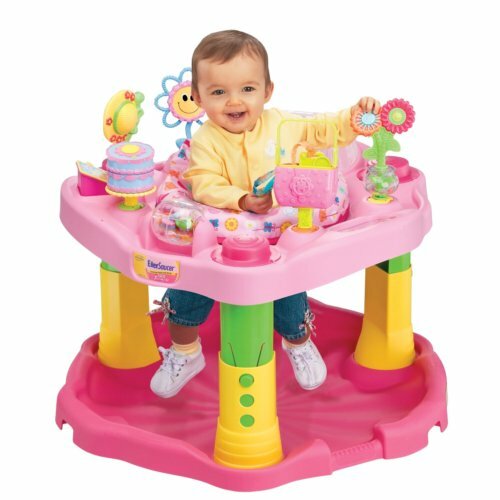 When learning how to walk, babies can push this ride on toy along or sit on it and waddle along. These can go forward, backward and sideways! 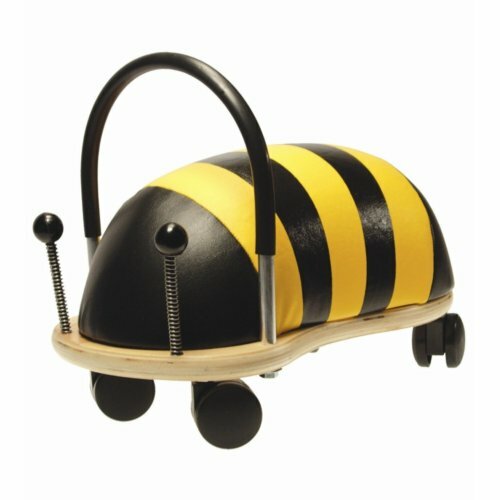 This wooden wheelybug comes in different versions, even a tiger! 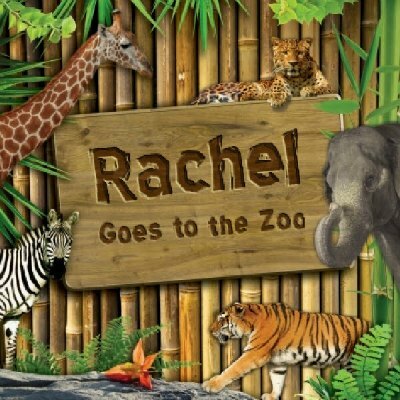 I’ve been a big fan of these DVDs since Rachel was small. Daniel is starting to wave now, so it’s time to teach him the ‘milk’ sign. My big kids are going to be so helpful and these DVDs are a great refresher with fun songs. My daughter Abigail’s grandparents bought her a rocking chair when she was small and I couldn’t have been more thrilled! 17 years later, it’s been well-loved by 4 more children and is ready to be a seat for Daniel soon. I love this style – neutral, but easy to personalize with cushions or paint. In our family, Aunt Shawna is known for gifting us with our banks. 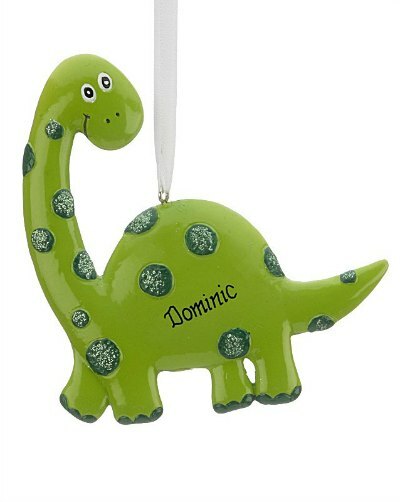 These are great gifts for a baby shower, Christmas or birthdays, too! Another tradition in my family started with my mother. She enjoys giving us personalized ornaments and someday, I’ll pass them on to the kids to decorate their own trees. I look forward to seeing what Mom picks out every year. Need gift ideas for other members of your family? 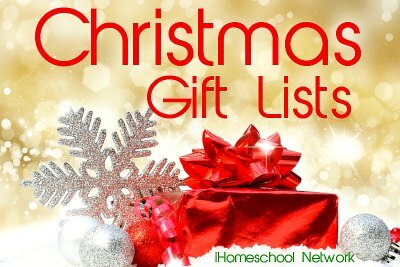 We’ve got you covered with ideas for moms and dads, homeschooling families,teen girls, little girls and preschool boys. Don’t miss it! 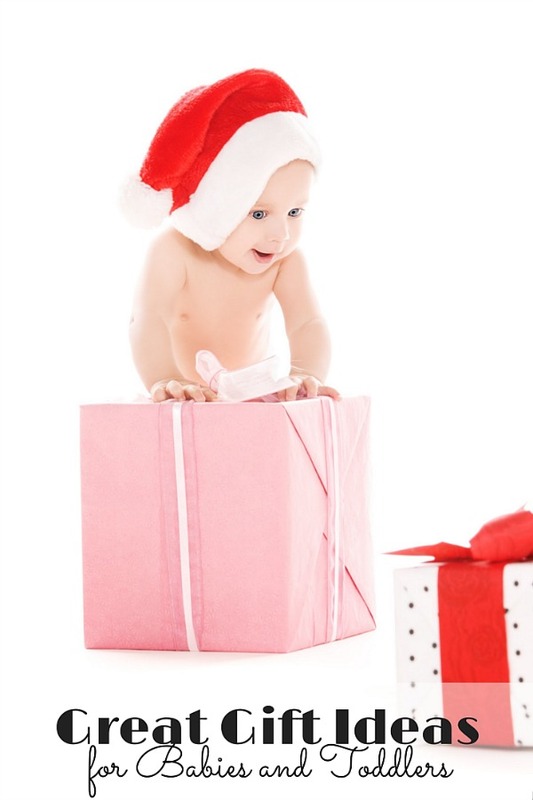 Is there a gift on your baby wish list that I’ve left off? Don’t forget to leave me a comment, and add this to your Pinterest boards.